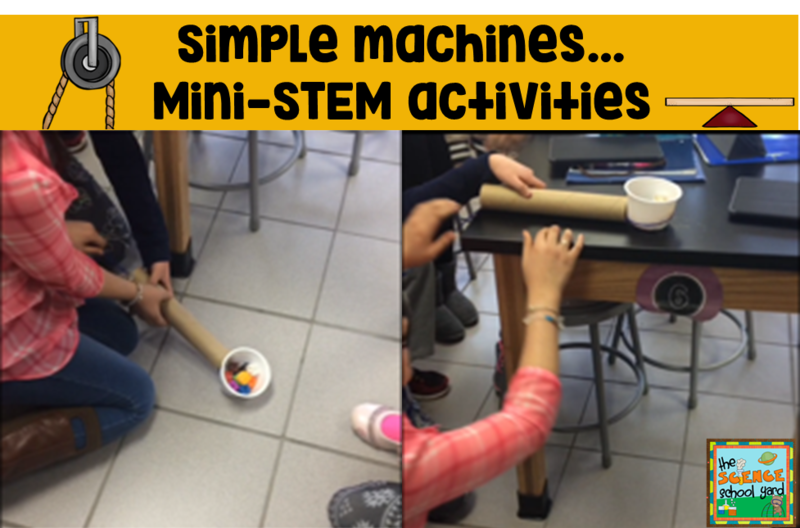 Each year, I teach a simple machines unit. Each year, I try to figure out ways to integrate STEM ideas into the mix. This year, I wanted to find ways to engage my learners right away. 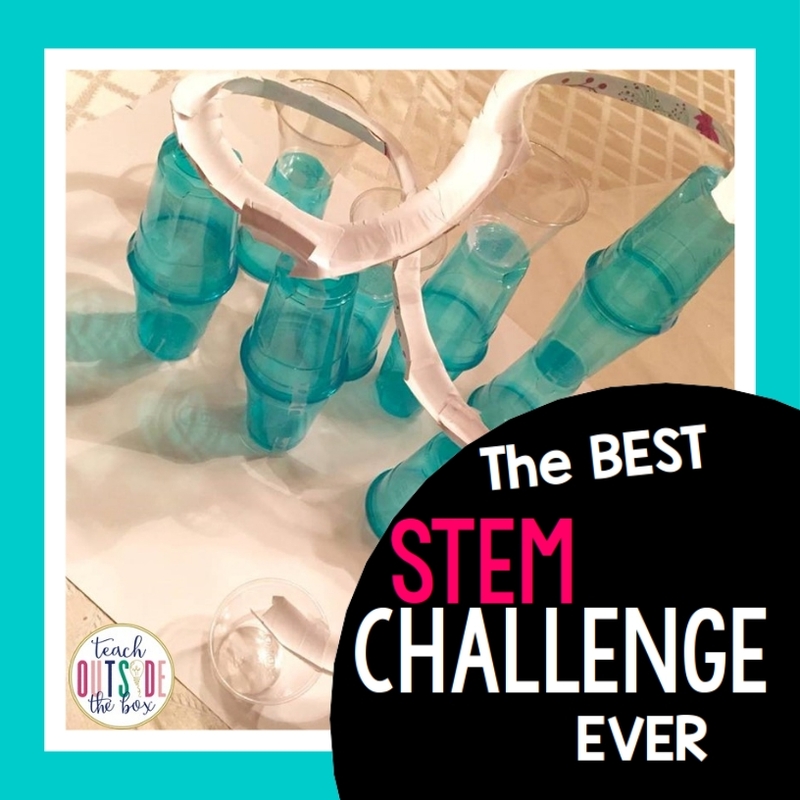 Sometimes the simplest thing to do is grab simple items to create the perfect STEM project! 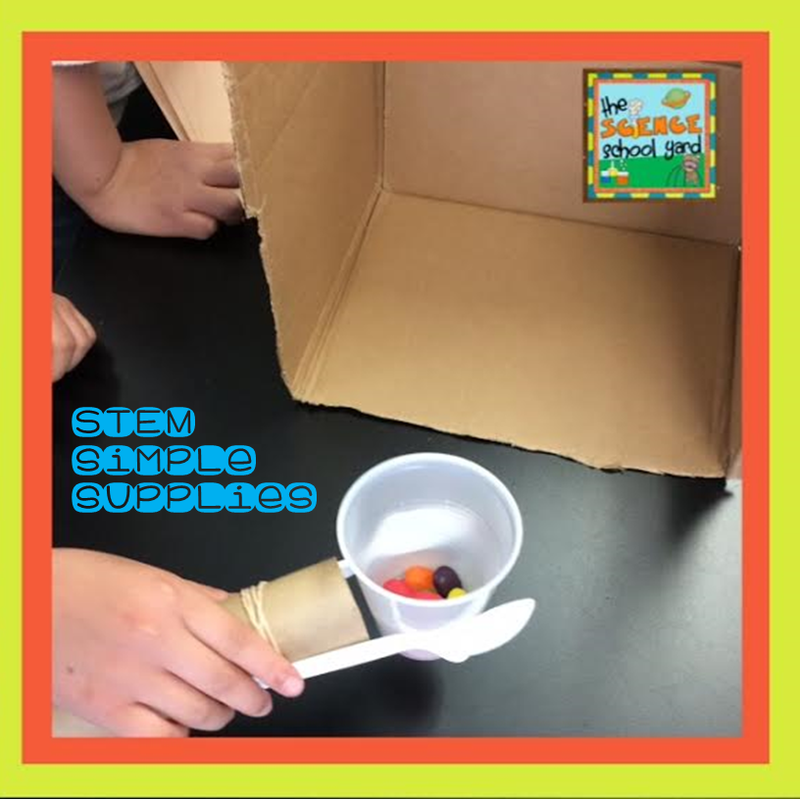 The second challenge that we did was to make a way to move a cup of candy from one side of the room to another without using your hands to touch the cup. 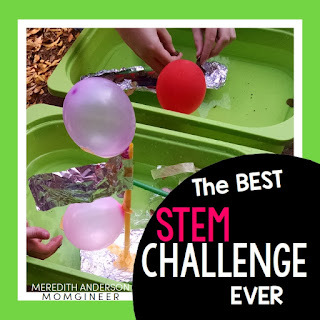 All I gave them for this challenge was spoons, rubber bands, and tubes. The best part about these two challenges is that each design was so uniquely different. Each team was able to work together to find a solution to each problem and after they completed the challenge they shared what they created! Now, this is the kicker...I was sick one of the days my classes did these challenges. 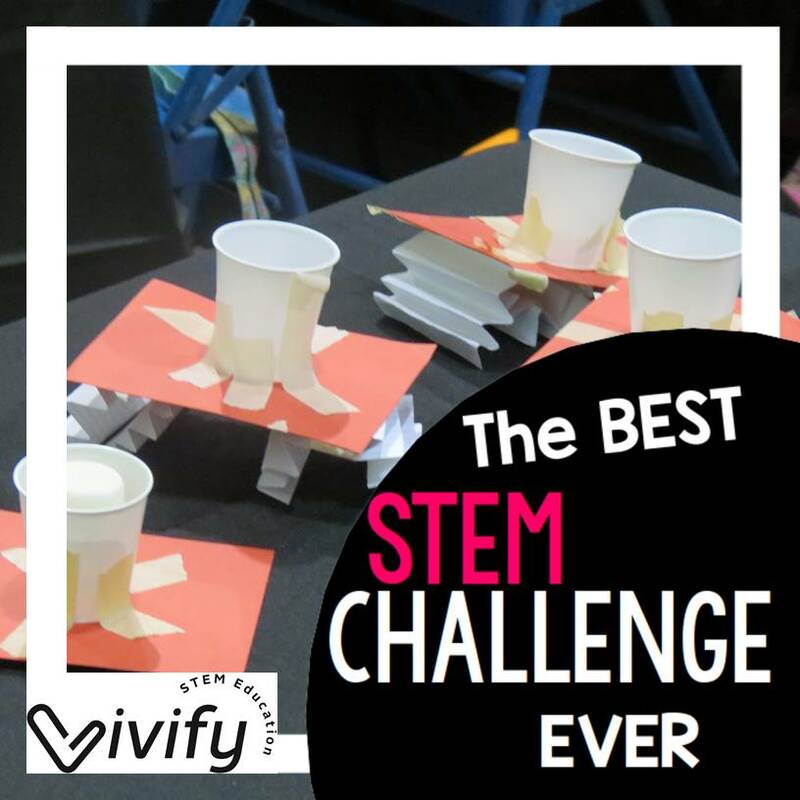 Boy, did I realize that one of the integral components of setting up STEM challenges is to really SET...IT...UP. What they were able to accomplish when I was there, instead of the sub, was significant. 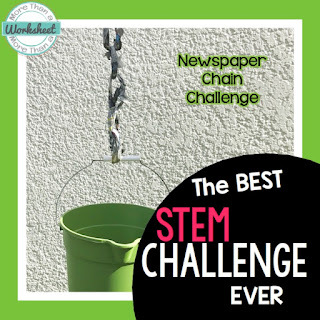 It got me thinking... how can anyone make a STEM challenge the best EVER? 1. How will you give them supplies? I set out a table with the items they can use. Each team is numbered and I send a special number to get what is needed. 2. What are the constraints as well as expectations? The first challenge was about moving an object from the floor to the table. This could be done as a pulley system or in some cases groups made a lever. We were able to share and explain as we observed the final product. 3. How will you get them excited about the activity? This can be done with a picture book, a question, or even a problem that needs solving. In both challenges I posed a problem that needed solving. 4. How much time will you give for a challenge. Our first challenge was 10 minutes. The second challenge was a race! 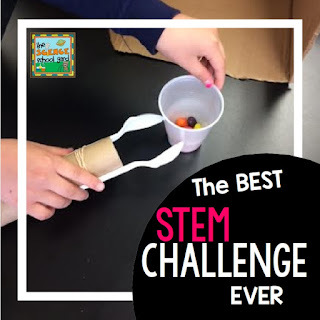 It is one thing to give your learners supplies and a challenge, it is another thing to remember to add the engineering process to each challenge you offer. 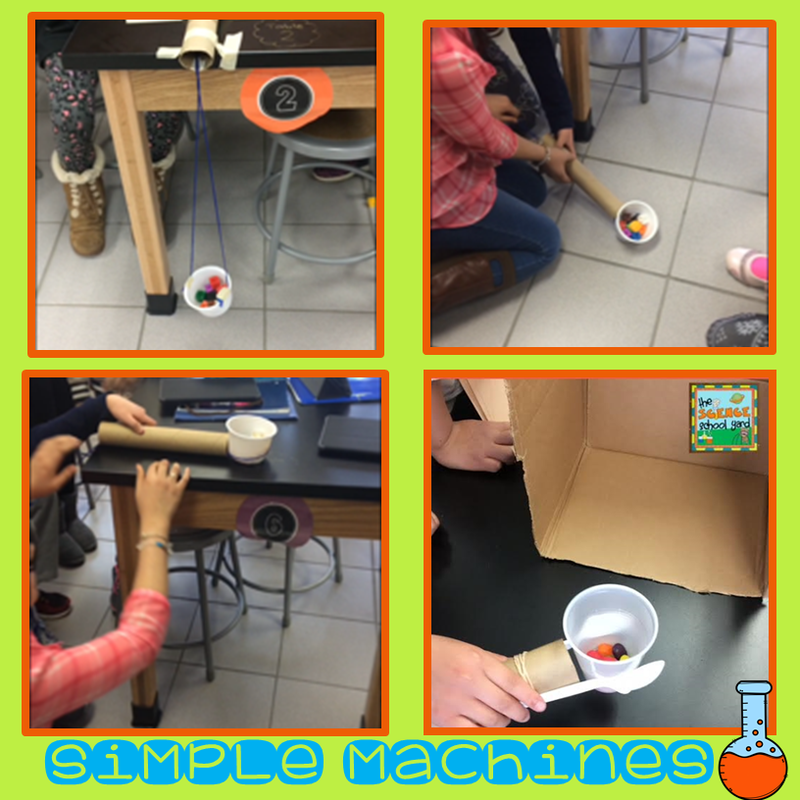 We chose a simple machine challenge and it was perfect for learning several simple machines. They loved them so much that I have had to design a new challenge to show the other simple machines. 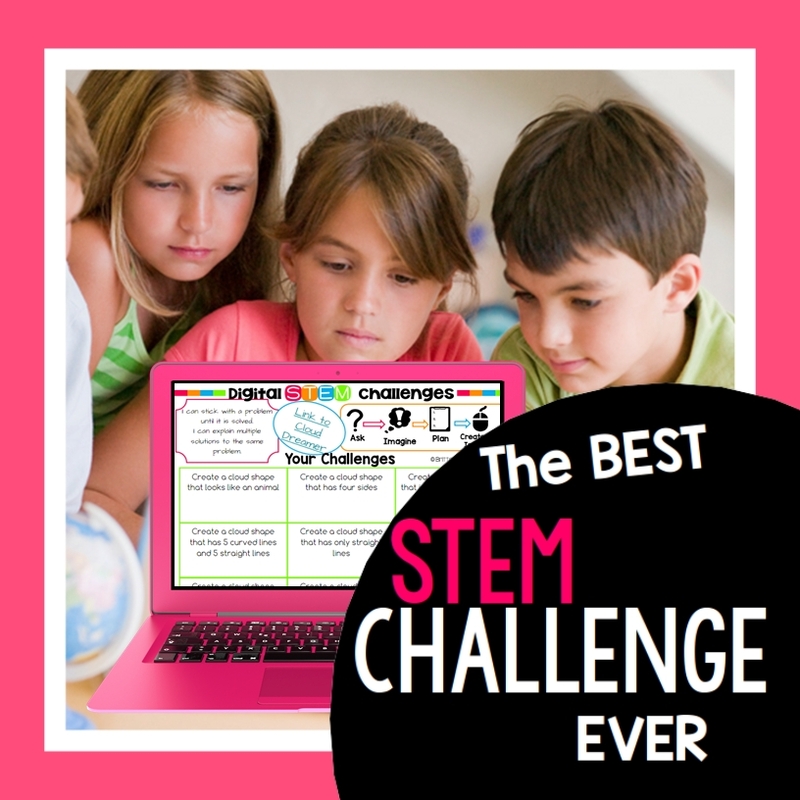 Any STEM project can be your best STEM challenge ever! Setting it up for success is the key! I have included my Simple Machines Unit that I use to add even more STEM stations including our annual Cardboard Arcade! 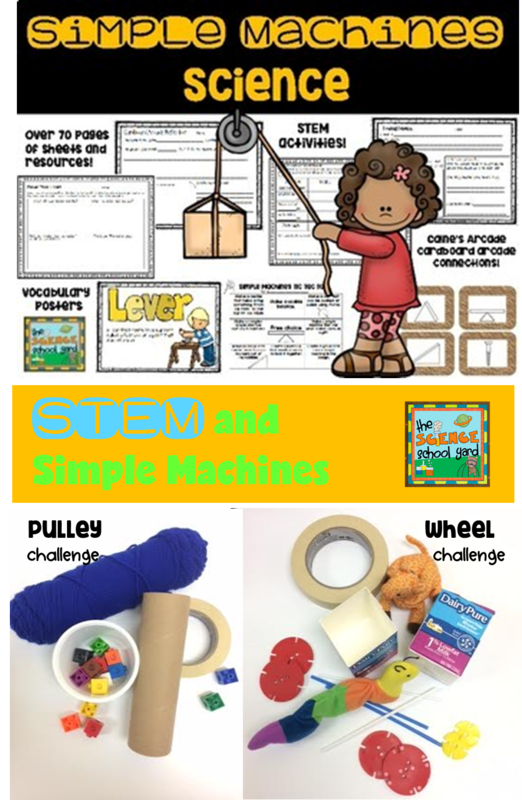 Find my Simple Machines Pack HERE! 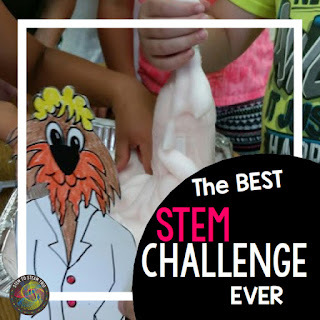 I challenge you to also make STEM challenges something your learners will say..."That was the best STEM challenge EVER!" 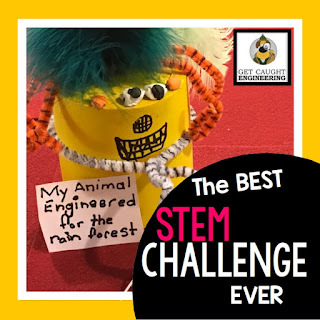 Click on any of the images below to read about more STEM challenges from other STEM educators.